Imagine (you may say in your dreams) calculating ROI on an event becomes a reality. Well, event measurement is about to meet its tipping point. The combination of low-cost, passive monitoring and emotional measurement technology will transform experiences and possibly business models. Ok, maybe I shouldn’t get too excited. But, truly, we’re on the cusp of a revolution in live events. And there’s a bonus to this new development on the near horizon. Factor in AI (navigate thorny GDPR… which in B2B markets should be easy enough to do) measurement tech will personalise the customer journey and experience. Consider a composite metric made up from the triangulation of three big data sets: 1) people movements (aka circulation and dwell time) through a space, 2) emotions and intensity of concentration and, 3) content downloads and social media activity, correlated to the seniority of the person engaged, and how quickly he or she shares the content. Think of it like this: today we can track people movements passively, for a tiny cost. We can estimate (without needing to know the individual’s identity) what people see and do, when, where and for how long (aka dwell time). A weighted sum can be applied to these variables. Now integrate emotional measurement. Facial recognition software can passively identify a granular range of positive and negative emotions, their intensity and the level of concentration. Finally, we can track content downloaded and shared, and importantly, how quickly its shared and the seniority (aka title) of the person sharing. The technology now exists to correlate the effectiveness of a live experience based on number of people exposed to messages and content, their emotional engagement, intensity of interest, the speed content is shared and the seniority of the person sharing. Camera technology and sensors can passively track delegate or visitor circulation; ie volume of footfall, and understanding where they go, what they see, what or who they interact with, and calculate dwell time. Much of this can be done with simple sensors that detect the mobile devices delegates/visitors carry. The tech geo-locates and tracks circulation and dwell time, as the delegate or visitor moves through a space. 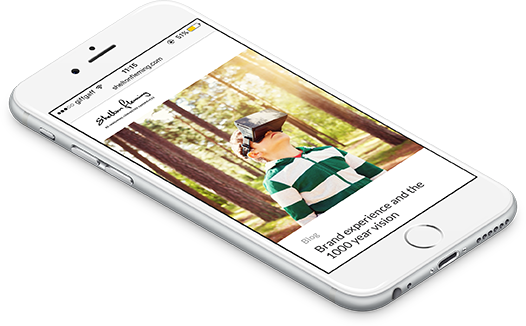 If a delegate or visitor has more than one device, the data can be normalised. That takes care of circulation, footfall and flows. Camera technology can also measure positive and negative emotions and intensity of engagement. This can be immensely powerful, with or without attribution back to the individual. It can tell us a lot about what resonates, confuses, excites, etc. And the range of detectible emotions is expanding all the time. Finally, integrate content downloads and social media tracking data. With the ability to deliver content through RFID tagging, it’s possible to determine what resonates (ie gets downloaded) and whether it gets shared, and how quickly shared. And in some social channels (especially B2B) it should be possible to factor in the seniority of the person sharing. 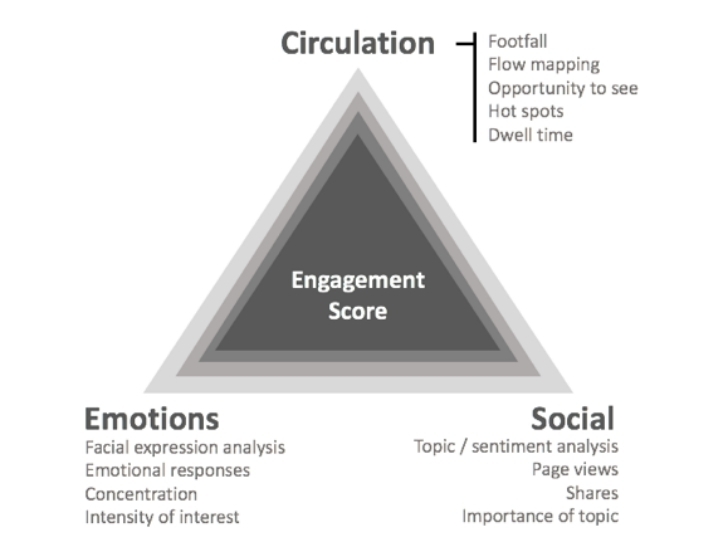 Triangulate these data sets the strength of engagement and quality of the experience could be measured. Call it an engagement score. Track enough experiences over time and soon industry benchmark data points emerge. Then the live events sector will have comparative analytics too. Eventually, project out 5 years, you may have events being charged out, not on their fees and production costs plus mark-up, but instead on the quality of engagement delivered. Sounds far-fetched? Well, keep an eye on retail and the numerous subscription models emerging, where performance and access to the service is the business model. Look over the horizon, and assume in a B2B context, it will be possible to secure the delegate or visitor’s permission to monitor their emotional responses and the content they access and share, the experience each person has could be personalised in real-time, and dovetailed through APIs, into a brand or company’s CRM program.